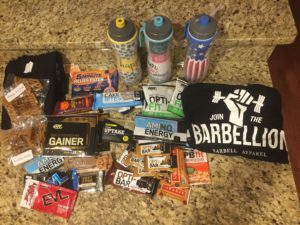 We were a bit skeptical about attending the Arnold Sports Festival. 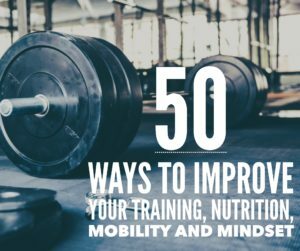 Knowing nothing about physique competitions and unable to name more than a handful of famous bodybuilders, was it really for us athletes who enjoy a healthy amount of carbs, CrossFit and lifting heavy stuff? It’s not just bodybuilding and bikini awards, though those are two of the marquee events and what the Arnold originally centered around. 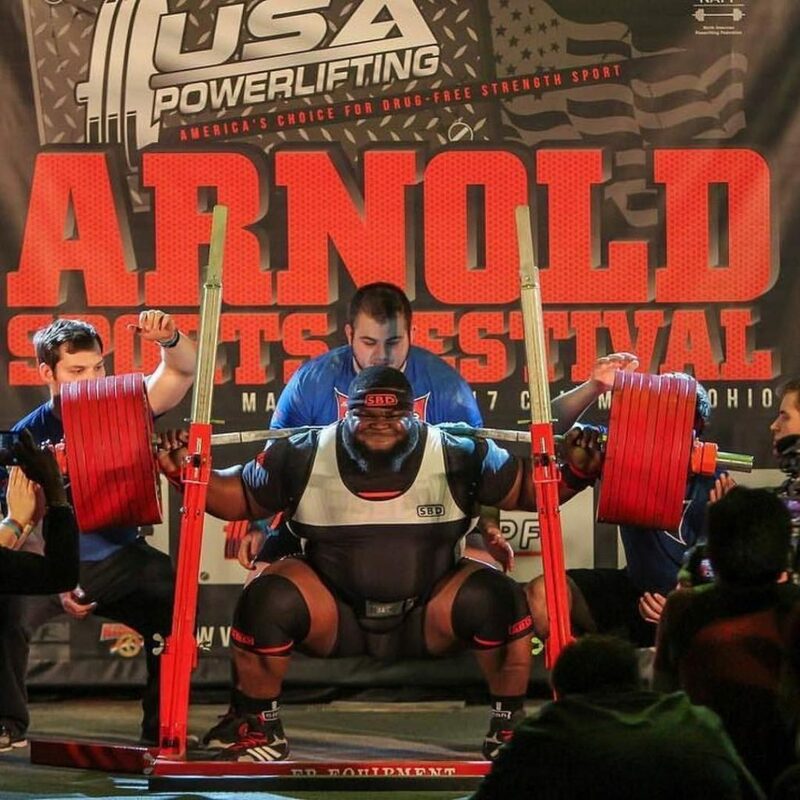 The ever-expanding Arnold has elite powerlifting, Olympic weightlifting, Pro Strongman (as well as amateur-level competitions), martial arts and even a CrossFit competition. Early weekend estimates were 20,000 athletes competing in more than 70 sports and events. Plenty of world records fell, from behemoths like Strongman Brian Shaw and powerlifter Ray Williams (above) to 114 lb. powerlifter Marisa Inda. 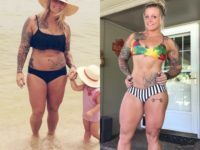 The Pro Strongwoman competition crowned its first-ever champion in Liefia Ingalls, who beat out Kaitlin Burgess to take home the top cash prize and make history in the process. The sport, unfamiliar to many, drew sizable crowds both days, with the 500-lb. tire deadlifts a fitting finale to a seriously impressive amount of female power. 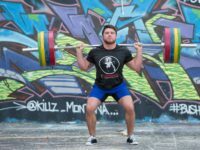 (Interested in Strongman? These custom-made yokes are female-friendly and 10% off with code ATHDAILY). If the world records and women weren’t enough to give you the chills, the Arnold hosted its first disabled powerlifting competition this year. Thousands of fans gathered on Friday to cheer on competitors who were born without a limb or sustained military injuries. There were plenty of masters competitors and the always heart-tugging professional wheelchair bodybuilding as well. The Arnold is about people persevering, whether it was two-time wheelchair winner Harold Kelley or an amateur powerlifter —who competed a day after burying her father— showing how strong the human spirit can be. Like trying new products? How about free ones? The Arnold expo is daunting in size and features thousands of vendors handing out free food, drink, supplement and even apparel samples. 5. It’s a celeb-spotting/friend-making hot bed. Want to meet The CrossFit Games champions Katrin Davidsdottir and Mat Fraser? The pair were among numerous CrossFit athletes who did meet-and-greets, with powerlifting gurus like Mark Bell and Jesse Burdick chatting and working their respective booths and Juggernaut’s Chad Wesley Smith coaching and mingling all weekend. 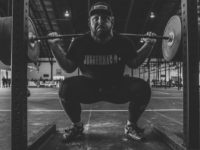 Grab a training session at Beyond Limits Gym –where the big names adorn the walls and are often there training– and make a stop by world-record holder Matt Wenning’s Ludus Magnus gym as well. Fitness and bikini celebrities drew some long picture lines while Shaw and Game of Thrones Strongman competitor Hafþór Júlíus Björnsson always always had a mass of fans. Of course, the weekend was all about who could spot the man himself: Arnold. Bonus points for pulling off a selfie. arnold, powerlifting, strongman, strongwoman, weightlifting. Bookmark.